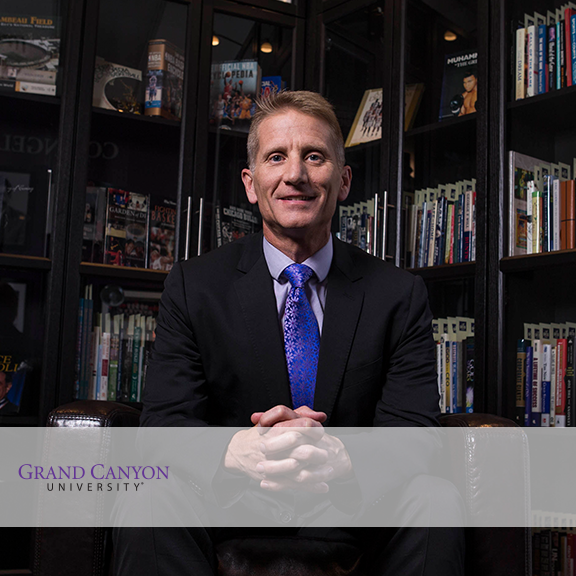 Randy Gibb joined Grand Canyon University as the dean of the Colangelo College of Business in 2014. The college promotes servant leadership, ethics, and entrepreneurism as well as the ideals of business as a force for good, free markets and purpose for prosperity, and business as ministry. Prior to Grand Canyon University, he served in the U.S. Air Force for 26 years. He retired as a Colonel after a variety of operational aviation assignments, including commander of two flying units. He also was an Associate Professor and Chair in the College of Technology and Innovation at Arizona State University. Randy was a distinguished graduate from the USAF Academy in 1986 and earned his PhD and MSE, Industrial Engineering, Human Factors, from Arizona State University. He is a founding member and on the board of the Canyon Angels investment group, on the Workforce Arizona Council, and on the board of Conscious Capitalism AZ.